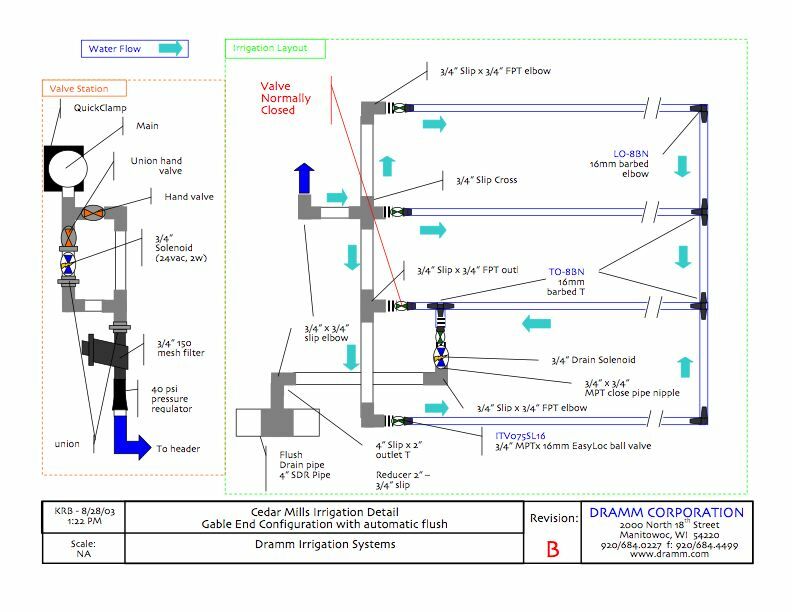 Manitowoc, WI- Following years of experience with irrigation systems, Dramm offers full irrigation design services. Taking your greenhouse information, Dramm can complete full irrigation plans for your expansion or greenhouse revisions. In addition to design services, Dramm offers all the components needed to complete your greenhouse irrigation project. Finally, Dramm builds valves stations, valve manifolds and other pre assembled PVC components to make your system installation easy.